I recently posted about fall cons coming up in Edmonton, and because I didn’t have all the information on it at the time I left one off. So get comfortable, kiddies, and let me talk to you about GLYPHcon (October 6-8)! Now in its third year, GLYPHcon (or Games and Lore of Yearly Pathfinder Heroics con if you’re being formal) is a weekend long convention dedicated to all things Paizo Organized Play: Pathfinder, Pathfinder Adventure Card Game, and for the first time, Starfinder. It’s hosted by The Adventurer’s Guild (15211 Stony Plain Road), a great little gaming store in the west end, and is free admission. Whether you’ve been involved with Pathfinder Society Organized Play for a while, or have been interested but haven’t checked it out yet, this is your weekend. There will be multiple tables of Pathfinder, Pathfinder Adventure Card Game, and Starfinder running all weekend long, and you can see the schedule and sign-up for games on the Warhorn site. As well, the con this year features not one, but two Pathfinder Society Specials: #8-99: The Solstice Scar and #9-00: Assault on Absalom. Specials are a chance to join several tables of Pathfinders in overcoming a particularly difficult threat or challenge, and what happens at your table can affect the other tables (and they you). You won’t have a chance to play these anywhere else unless you travel to a convention, so these are not to be missed. I’ll be GMing the high tier table for Assault on Absalom, and I can guarantee it will be a rough ride; the high tier (10-11 level) tables are always a challenge. We’ll have to see which stalwart Pathfinders are up to the task, and which will fall in glory! I’ll also be playing some Starfinder, because that is the new hotness and I’ve developed a little crush on that game. 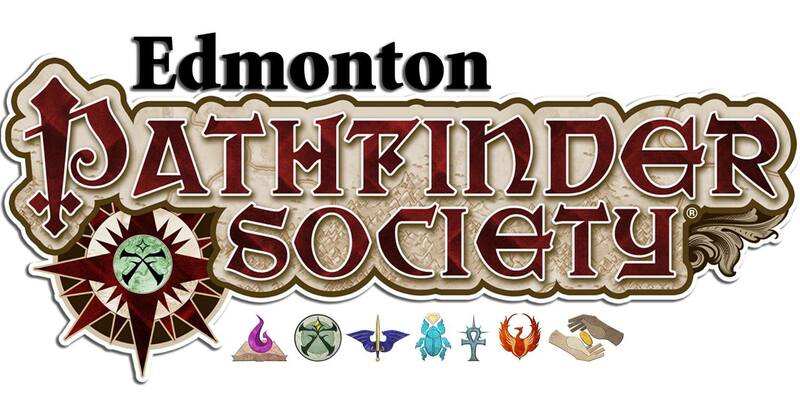 Make sure to check out the PFS Edmonton Facebook page to stay up to date on the event, as well as goings on in the local Pathfinder Society scene. Hopefully we’ll see you at GLYPHcon! This is a light week for me, blog-wise. I’m the Team Lead for the Tabletop Games area at the Edmonton Expo, which runs this weekend. I’ve been busy sorting out my volunteers and events, then I’ll be busy setting up the gaming area and preparing for the weekend which starts at 3pm Friday. If you’re a nerd in Edmonton you’re likely already coming to the Expo already, so this is my call to stop by the Tabletop Gaming area and play some games. Besides the library of board games we have for you to try, we also have volunteers on-hand to help you learn a game, or give you an extra body for the game you want to play. You can also take in one of the scheduled events run by our gaming sponsors, and you are welcome to bring a game you just bought and give it a play. Posts will return to their regular schedule next week, when my life gets a little less busy. In the mean time, play games! If you’re a role-player here in Edmonton, you really need to get on-board with IntrigueCon, running October 16-18. For those that have attended in years past, you’ll notice they’ve expanded to a third full day, running all day Sunday as well. With weekend passes at just $20 if you pre-register, that works out to less than a dollar an hour for a weekend’s worth of role-playing entertainment. You just can’t beat that price, and you’ll be supporting a great local gaming con. The best thing about gaming cons is the chance to step outside your normal gaming patterns, and try a game you’ve never played before. 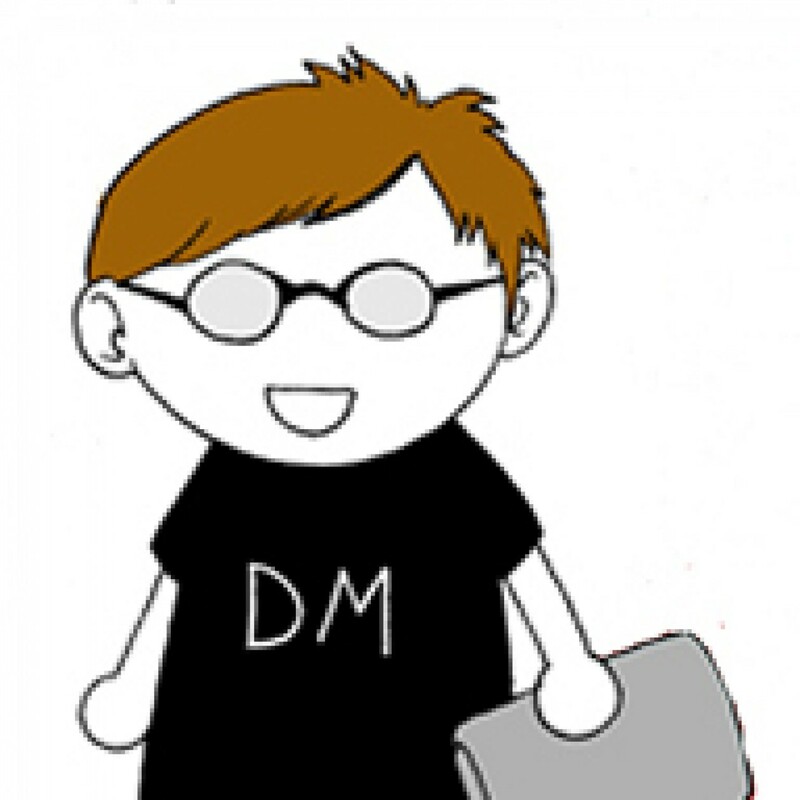 IntrigueCon is perfect for that; a quick glance at the schedule and I can see games like Mouseguard, Fiasco, Edge of Darkness, Hong Kong Action Theatre!, Deadlands Reloaded, Werewolf: The Forsaken, Pashkovskaya Nocturne, and Star Trek, as well as fantasy standards Pathfinder RPG and D&D 5th Ed. There’s plenty of gaming goodness running all weekend, so you owe it to yourself to grab a seat at a new game. Need more reasons? If you’ve been looking for a gaming group to join, cons are a great way to meet new gamers and make those connections. Whether you’re a player looking for a table, or a GM looking for players, cons are a way to meet new gaming nerds. And I’ve said it before in other places, but local cons are very much a “use it or lose it” resource. If they aren’t supported they go away, and it becomes harder to get another one started; folks see how the previous one failed and are less likely to get behind the next venture. In short, local cons can’t be taken for granted, and even if you can only make it out for a day you should try and support the cons as best you can. Support comes in many forms of course. Cons always need volunteers, whether as a GM or general help around the event. If you’ve been looking for a chance to try GMing at a con (and you should, it’s awesome), IntrigueCon is a great way to get your feet wet. And if you aren’t ready for that quite yet, cons always need help taking tickets, cleaning up, setting up tables, organizing…lots to do, and many hands make light work. I’m running some Kobolds Ate My Baby! on Friday night, and then some Pathfinder Society games all day Saturday. If you want to get involved in either (or anything else), head over to IntrigueCon’s site and pre-register, then sign up for your games. Hopefully I’ll see you there! Here in the snowy wilds of Canada, winter is loosening its grip on the land. Which means all the introverted nerds like me can come out of our winter hibernation and start taking in that most glorious of gaming activities: the gaming convention. Locally, GOBFest was just this past weekend, a mighty collection of board gamers gathered together to share the hobby we love dearly. With the gaming con season starting back up (not that it ever really ends, but spring is as good an arbitrary starting point as any), I thought I’d share some tips on being a good con gamer. Keep it Clean – Every convention is a busy place filled with nerds. And where there are nerds, trash is sure to follow as we consume our snacks and drinks, scribble on scraps of paper or character sheets, and generally just live in the convention space for a few days. While no one is expecting you to clean up someone else’s trash, you should always pick up your own. I can promise that no convention has enough volunteers that they can dedicate them to constant trash policing. Looking after your own mess makes the con space a much friendlier place to be. And especially at a board game convention, cleaning up after yourself means helping to pick up the game you just played. Don’t be that jerk that figures out his/her final score and then walks away from the table. You played it, you clean it up. If you’re old enough to be going to game conventions, you’re too old to need to be reminded to help put your toys away. Just because you don’t like a game does not make it a bad game. Knock, knock. Who’s there? Interrupting cow. Interrupting co– Moo! There is a right time to ask gamers questions about a game, and a wrong time. The wrong time is right in the middle of a game, when it is quite obvious all the players are focused on playing; the right time is just about any other time. While I’m sorry you are waiting for your game to start, or haven’t found a game yet, I’m busy doing the thing I came to the con to do. Don’t spoil that by engaging me in an interrogation mid-game. If you have questions, wait until the players are taking a break or have finished and are cleaning up, we’re happy to talk then. The exception to that rule is when I am officially demonstrating a game in my capacity as an organized play volunteer or con volunteer. Then I’m happy to give you a brief bit of information about the game. Emphasis on brief, though, as my attention belongs to the people for whom I’m demoing. Thank the Volunteers – I’ve said it numerous times before and I’ll keep saying it: without volunteers, cons can’t happen. No convention can afford to pay wages to every person needed to make a con run, and if they tried they’d have to jack the ticket price so high no one could attend. The volunteers at your con have given of their free time to help put on an event for your enjoyment. They do it without the benefit of pay and with no thought of getting thanked. So thank them. When you see a volunteer picking up garbage somebody left on a table, thank them (and help pick it up, you jerk). When a volunteer gives you your badge, a program book, directions, opens a door for you, thank them. If you see a volunteer, period, thank them. Thank your volunteer game master, thank the room monitor. Just thank every volunteer too slow to get out of your reach, and then shout thank-you to the fast movers. Trust me, they can never hear it enough. Volunteer – Just like volunteers never get enough thanks, conventions never have so many volunteers they won’t take one more. Most cons have perks for volunteering, which at minimum is usually a reduced price or free badge, depending on how many hours you volunteer. Beyond that, volunteering for your local events is a great way to meet new people, grow your hobby locally, and give back to the community of gamers to which you belong. Plus it can be metric buttloads of fun. Have any tips of your own for being a better con gamer? Share them in the comments below. And if you liked this article, please share the link on your social media de jour.